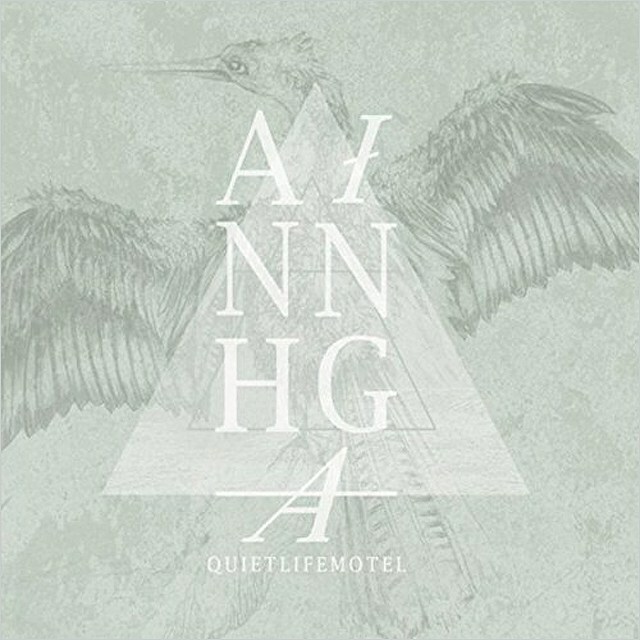 Anhinga is the second album by David Schulman and Quiet Life Motel after the first eponymous album. It is veritable caravanserai which is characterised by two fascinating aspects. The first is that it is anything but a “quiet life motel” and the second is that unlike a motel, where guests pass through in Anhinga everyone moves out to where the proverbial horizon – and we are not just talking music here – is like the Holy Grail; the closer you think you’re getting to it, the further it actually is. Master and Commander of the terrestrial ship is David Schulman, the epitomé of an itinerant urban griot who also composes and produces audio narratives, is a compulsive musician and radio broadcaster. Naturally David Schulman exists in a continuum of sound, which is in his music, his exceptionally lyrical violin playing, his expressive narratives and poetic lyrics, and – it would seem – in his alter-ego, which is none other than Anhinga that fabulous Brasilian (and American) snake bird (on the album cover), known to favour the warmth of the sun. Not only do David Schulman and the Anhinga make strange bedfellows but, in their peripatetic lifestyle, they begin to live in a continuous “present” state, which in Schulman’s case means grist for his narrative mill, and thus the songs on the album Anhinga. This concerto plays itself out as David Schulman creates series of miniatures that all lead one into the other. Continuities are of the kind that recall movie editing techniques, with juxtapositioning and cross-cutting of narrative as opposed to seamless blending or overlapping storytelling. And as in the grand scheme of life, the notion of relating this fabulous, inventive narrative is all linked to the principal idea of the interconnectedness of all things. With the skill of a storyteller, who also happens to be field-recording specialist, musician and lyricist David Schulman has masterminded a vivid slice of life that traverses the musical topography of the Americas. Spontaneity is inevitable because everything reflects slice-of-life, an impression that the gestural activity has been born out of improvisation under the hands, with surfaces worked as a painter might. Variations of density and intensity exist cheek-by-jowl and in an abundance of contrasts with surprise endings at the end of each. So when you listen to the music, expect the violin playing of David Schulman to be treated as a metaphor for musical space, like a canvas. The powerful voice of Tillery is tempered by his muted trumpet on “Automatic and “Home”. The bass and drums echo with the rhythmic pulse of each moving picture frame as well as in the song and dance therein. And the field recordings derive from Schulman’s Félix Blume’s undying interest in approaching musical material that which exists in tradition as well as to extrapolate on the musical adventure that the recording documented in the first place. It is these two facets of the overall work that make Anhinga an album rich in warmth and freshness. Track List: 1: Automatic; 2: Anhinga; 3: Eleven Flights of Air; 4: Chicago Gypsy; 5: The Call; 6: 8th Street Nocturne; 7: Hecho a Mano; 8: Five Lives; 9: Season of No Regrets; 10: Mr. Webster Remembers; 11: Ohio; 12: Jessye Norman Sings Brahms at the Five Spot; 13: Home ; 14: Farewell Sir Charles. Personnel: David Schulman: violin, mandolin, hand percussion, field recording, whistling; Tillery: vocals, trumpet (1, 13, 14); Eddie Eatmon: bass (2, 9, 13, 14); Félix Blume: field recordings (3, 7, 9, 10); Michael Caskey: batterie (13); Félix Contreras: batterie (7); Rutger Miller: batterie (1).